For the sexual slang, see One-night stand. 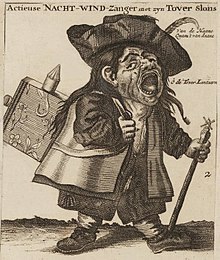 The "night singer of shares" sold stock on the streets during the South Sea Bubble. Amsterdam, 1720. "Pump and dump" (P&D) is a form of securities fraud that involves artificially inflating the price of an owned stock through false and misleading positive statements, in order to sell the cheaply purchased stock at a higher price. Once the operators of the scheme "dump" sell their overvalued shares, the price falls and investors lose their money. This is most common with small cap cryptocurrencies and very small corporations, i.e. "microcaps". While fraudsters in the past relied on cold calls, the Internet now offers a cheaper and easier way of reaching large numbers of potential investors through spam email, bad data, social media, and false information. Pump and dump schemes may take place on the Internet using an e-mail spam campaign, through media channels via a fake press release, or through telemarketing from "boiler room" brokerage houses (such as that dramatized in the 2000 film Boiler Room). Often the stock promoter will claim to have "inside" information about impending news. Newsletters may purport to offer unbiased recommendations, then tout a company as a "hot" stock, for their own benefit. Promoters may also post messages in chat rooms or stock message boards such as ADVFN, urging readers to buy the stock quickly. If a promoter's campaign to "pump" a stock is successful, it will entice unwitting investors to purchase shares of the target company. The increased demand, price, and trading volume of the stock may convince more people to believe the hype, and to buy shares as well. When the promoters behind the scheme sell (dump) their shares and stop promoting the stock, the price plummets, and other investors are left holding a stock that is worth significantly less than they paid for it. Fraudsters frequently use this ploy with small, thinly traded companies—known as "penny stocks," generally traded over-the-counter (in the United States, this would mean markets such as the OTC Bulletin Board or the Pink Sheets), rather than markets such as the New York Stock Exchange (NYSE) or NASDAQ—because it is easier to manipulate a stock when there is little or no independent information available about the company. The same principle applies in the United Kingdom, where target companies are typically small companies on the AIM or OFEX. A more modern spin on this attack is known as hack, pump and dump. In this form, a person purchases penny stocks and then uses compromised brokerage accounts to purchase large quantities of that stock. The net result is a price increase, which is often pushed further by day traders seeing a quick advance in a stock. The original stockholder then cashes out at a premium. In the early 1990s the penny-stock brokerage Stratton Oakmont artificially inflated the price of owned stock through false and misleading positive statements, in order to sell the cheaply purchased stock at a higher price. Firm co-founder Jordan Belfort was criminally convicted for his role in the scheme. He later turned his story into a memoir, The Wolf of Wall Street, which was later adapted into an Academy Award-nominated film of the same name. During the dot-com era, when stock-market fever was at its height and many people spent significant amounts of time on stock Internet message boards, a 15-year-old named Jonathan Lebed showed how easy it was to use the Internet to run a successful pump and dump. Lebed bought penny stocks and then promoted them on message boards, pointing at the price increase. When other investors bought the stock, Lebed sold his for a profit, leaving the other investors holding the bag. He came to the attention of the U.S. Securities and Exchange Commission (SEC), which filed a civil suit against him alleging security manipulation. Lebed settled the charges by paying a fraction of his total gains. He neither admitted nor denied wrongdoing, but promised not to manipulate securities in the future. As late as April 2001, before the company's collapse, Enron executives participated in an elaborate scheme of pump and dump, in addition to other illegal practices that fooled even the most experienced analysts on Wall Street. Studies of the anonymous messages posted on the Yahoo board dedicated to Enron revealed predictive messages that the company was basically a house of cards, and that investors should bail out while the stock was good. After Enron falsely reported profits which inflated the stock price, they covered the real numbers by using questionable accounting practices. Twenty-nine Enron executives sold overvalued stock for more than a billion dollars before the company went bankrupt. In April 2007, the U.S. SEC brought charges against Park Financial Group as a result of an investigation into a pump and dump scheme during 2002–2003 of the Pink Sheet listed stock of Spear & Jackson Inc. Started as Crown Corporation, Langbar was the biggest pump and dump fraud on the Alternative Investment Market, part of the London Stock Exchange. The company was at one point valued greater than $1 billion, based on supposed bank deposits in Brazil which did not exist. None of the chief conspirators were convicted, although their whereabouts are known. A patsy who made a negligent false statement about the assets was convicted and banned from being a director. The investors who lost as much as £100 million sued one of the fraudsters and recovered £30 million. Pump and dump stock scams are prevalent in spam, accounting for about 15% of spam e-mail messages. A survey of 75,000 unsolicited emails sent between January 2004 and July 2005 concluded that spammers could make an average return of 4.29% by using this method, while recipients who act on the spam message typically lose close to 5.5% of their investment within two days. A study by Böhme and Holz shows a similar effect. Stocks targeted by spam are almost always penny stocks, selling for less than $5 per share, not traded on major exchanges, are thinly traded, and are difficult or impossible to sell short. Spammers acquire stock before sending the messages, and sell the day the message is sent. Ponzi-type investments are privately traded, often between individuals that are known to one another, whereas pump and dump schemes are typically marketed to the general public and traded on public stock exchanges and the victims and perpetrators are not acquainted with each other. Ponzi schemes typically promise very specific returns on investments and/or include falsified records implying consistent and steady returns, whereas pump and dump schemes only come with general and/or implied promises of substantial profits. Ponzi schemes typically come with the expectation of profit over a relatively-extended period of time and typically last for months, years or even decades before their inevitable collapse. By comparison, pump and dump scams are designed to make profits extremely quickly and are executed over a period of weeks, days or even hours. Pump and dump schemes are invariably intended to be scams from their conception, whereas Ponzi schemes are occasionally the result of investment vehicles that are originally intended to be legitimate but ultimately fail to perform as expected. For all of the above reasons, Ponzi schemes tend to leave a far more extensive trail of evidence. They are typically much easier to prosecute after they are discovered, and often result in much stiffer criminal penalties. Pump and dump differs from many other forms of spam (such as advance fee fraud emails and lottery scam messages) in that it does not require the recipient to contact the spammer to collect supposed "winnings," or to transfer money from supposed bank accounts. This makes tracking the source of pump and dump spam difficult, and has also given rise to "minimalist" spam consisting of a small untraceable image file containing a picture of a stock symbol. A variant of the pump and dump scam, the "short and distort" works in the opposite manner. Instead of first buying the stock, and then artificially raising its price before selling, in a "short and distort" the scammer first short-sells the stock, and then artificially lowers the price, using the same techniques as the pump and dump but using criticism or negative predictions regarding the stock. The scammer then covers their short position when they buy back the stock at a lower price. This tactic is commonly used by institutions and brokers to dupe individual traders in the Korean stock market, as only institutional traders are allowed to shortsell stocks. One method of regulating and restricting pump and dump manipulators is to target the category of stocks most often associated with this scheme. To that end, penny stocks have been the target of heightened enforcement efforts. In the United States, regulators have defined a penny stock as a security that must meet a number of specific standards. The criteria include price, market capitalization, and minimum shareholder equity. Securities traded on a national stock exchange, regardless of price, are exempt from regulatory designation as a penny stock, since it is thought that exchange traded securities are less vulnerable to manipulation. Therefore, Citigroup (NYSE:C) and other NYSE listed securities which traded below $1.00 during the market downturn of 2008–2009, while properly regarded as "low priced" securities, were not technically "penny stocks". Although penny stock trading in the United States is now primarily controlled through rules and regulations enforced by the Securities and Exchange Commission and the Financial Industry Regulatory Authority (FINRA), the genesis of this control is found in state securities law. The State of Georgia was the first state to codify a comprehensive penny stock securities law. Secretary of State Max Cleland, whose office enforced state securities laws, was a principal proponent of the legislation. Representative Chesley V. Morton, the only stockbroker in the Georgia General Assembly at the time, was a principal sponsor of the bill in the Georgia House of Representatives. Georgia's penny stock law was subsequently challenged in court. However, the law was eventually upheld in U.S. District Court, and the statute became the template for laws enacted in other states. Shortly thereafter, both FINRA and the SEC enacted comprehensive revisions of their penny stock regulations. These regulations proved effective in either shuttering or greatly restricting broker/dealers, such as Blinder, Robinson & Company, which specialized in the penny stocks sector. Meyer Blinder was jailed for securities fraud in 1992, after the collapse of his firm. However, sanctions under these specific regulations lack an effective means to address pump and dump schemes perpetrated by unregistered groups and individuals. ^ a b c "Pump and Dump Schemes". U.S. Securities and Exchange Commission. March 12, 2001. ^ NBC News staff & news wires (2012-10-24). "The $400 million buyout hoax that fooled many - Business on". Nbcnews.com. Retrieved 2012-12-18. ^ Wasik, John (June 28, 2013). "'Pump And Dump' Schemes Resurface In Social Media". Forbes. Retrieved August 3, 2015. ^ "Pump&Dump.con: Tips for Avoiding Stock Scams on the Internet". U.S. Securities and Exchange Commission. January 11, 2005. ^ Nakashima, Ellen (2007-01-26). "Hack, Pump and Dump". The Washington Post. ^ Krinklebine, Karlos (2009). Hacking Wall Street: Attacks and Countermeasures. US: Darkwave Press. pp. 83–180. ISBN 1-4414-6363-1. ^ Mulligan, Thomas S. (April 17, 1997). "Investor Wins $10 Million in Penny-Stock Broker Case". Los Angeles Times. Retrieved 11 January 2015. ^ Lewis, Michael (February 25, 2001). "Jonathan Lebed: Stock Manipulator, S.E.C. Nemesis – and 15". The New York Times. ^ Morgenson, Gretchen (2002-04-28). "The Bears on This Message Board Had Enron Pegged". The New York Times. Retrieved 2010-04-25. ^ Chambers, Dan. "Enron the Symptom, Not the Disease". publici.ucimc.org. Archived from the original on 2006-06-22. Retrieved 2010-04-25. ^ Bowers, Simon (24 June 2011). "Langbar International: the greatest stock market heist of all?". ^ El1te. "Langbar International - Verified AIM Fraud". ^ "Spammers manipulate stock markets". BBC News. 25 August 2006. ^ Böhme, Rainer; Holz, Thorsten (April 2006). "The Effect of Stock Spam on Financial Markets". SSRN Electronic Journal. April 2006. doi:10.2139/ssrn.897431. Retrieved 27 September 2018. ^ Hanke, Michael; Hauser, Florian. "On the Effects of Stock Spam E-mails∗" (PDF). EBS Universitat. Archived from the original (PDF) on 2006-03-05. Retrieved 27 September 2018. ^ Glasner, Joanna (2002-06-03). "New Market Trend: Short, Distort". Wired. Condé Nast Digital. Archived from the original on February 11, 2010. Retrieved February 11, 2010. ^ "SECURITIES AND EXCHANGE COMMISSION" (PDF). sec.gov. ^ "SEC Charges Eight Participants in Penny Stock Manipulation Ring". U.S. Securities and Exchange Commission. May 21, 2009. ^ Stan Darden (March 20, 1990). "Georgia to OK Tough Law for Penny Stocks". Los Angeles Times. UPI. ^ "Georgia Secretary of State | Securities". Sos.ga.gov. Retrieved 2012-12-18. ^ "GEORGIA LAW WON'T HURT BROKERS, JUDGE RULES". Deseret News. July 11, 1990. ^ Diana B. Henriques (February 16, 2003). "Penny-Stock Fraud, From Both Sides Now". The New York Times. Krinklebine, Karlos (2009). Hacking Wall Street: Attacks and Countermeasures. US: Darkwave Press. p. 402. ISBN 978-1-4414-6363-0. Tillman, Robert H.; Indergaard, Michael L. (2005). Pump and Dump: The Rancid Rules of the New Economy. ISBN 0-8135-3680-4. Sergey Perminov, Trendocracy and Stock Market Manipulations 2008, ISBN 978-1-4357-5244-3. This page was last edited on 26 March 2019, at 07:39 (UTC).